Okay, I know the first week of January's gone, but life is finally seeming to balance out. Or rather, I'm not running around chasing Disney characters, traveling, or otherwise just plain exhausted. I do have a backlog of work to do, but everything will come in time. 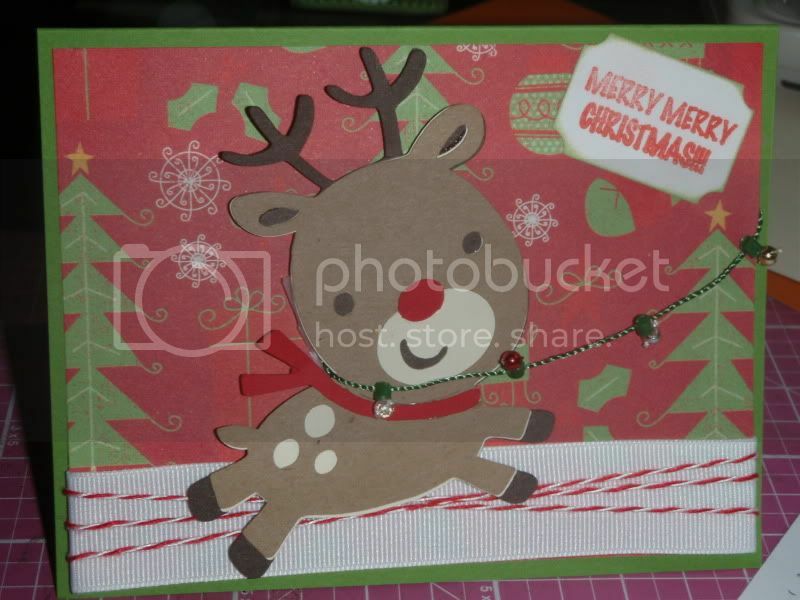 Here's another Christmas card I made, this time using the old-faithful cartridge: Create a Critter. Please ignore the tape that's peeking out. Rest assured, I did my best to fix that before popping it in the mail. 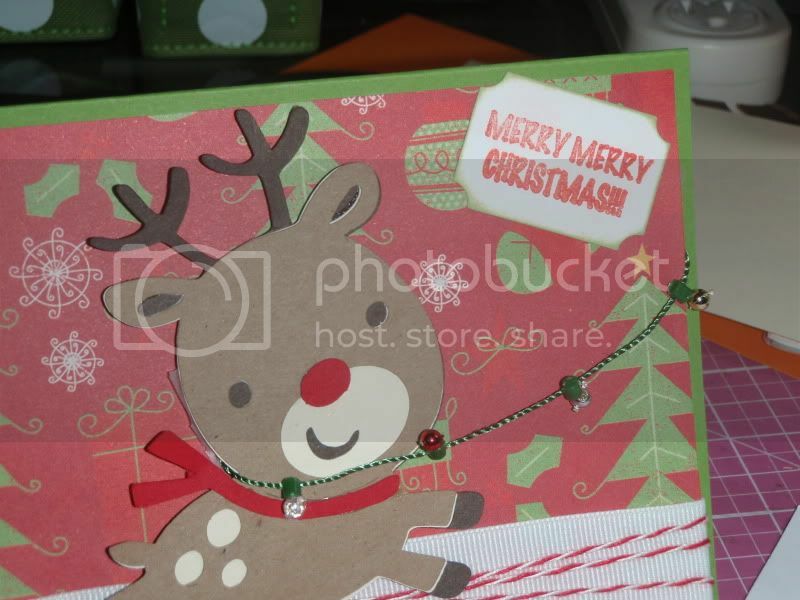 What a cute reindeer card.